It has been my past experience that if an organisation commissions an audit, then auditors come in and go about auditing the premises in a dry and prescriptive way, the organisation simply ends up with a report that invariably sits gathering dust on a shelf, in essence there is very little 'buy in'. My way of working is that the senior management team, or those responsible for the proper running of the organisation, spend time with me as the auditor - a skilled disabled professional - and by doing so gain a much greater understanding of the reasons behind the recommendations that are being make. Therefore there becomes a greater ownership of the need for change and an awareness of the reasons and priorities. By undertaking the audit in partnership knowledge is shared and the report becomes a living document that is used as a blueprint for change. As we make the journey through your premises and the structures and systems of your organisation, we record the good practice as well as the barriers to inclusion. We discuss potential solutions and practical applications for improvements whilst looking at the building regulations and any legislative requirements. These processes will be documented in a logical way, evidenced with photographs. Options for change and rating priorities will be suggested. Finally, the draft document is discussed with you and your team prior to a final sign off. The Musée Picasso, Paris, re-opened in 2014 following a five year refurbishment costing €52m (around £43.5m). Tony Heaton will never forget his first gondola ride in Venice. If Heaton—a British sculptor who was awarded an OBE by the Queen in 2013 for services to the arts—found it particularly inspiring, it’s not just because of his day job. 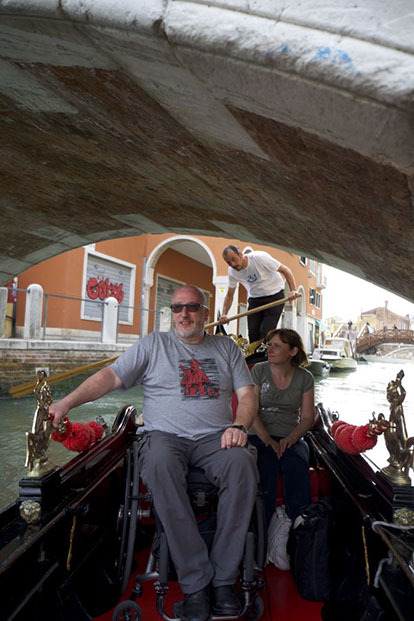 He’s a wheelchair user, and in the 18 years he’s been visiting the city, usually timed for the Venice Biennale, riding a gondola has never been a possibility. Until last year, that is, when two gondoliers decided to take matters into their own hands and launch the world’s first wheelchair-accessible gondola. “Try” is the right word. It took Dalla Pietà and his colleague, Enrico Greifenberg, four years to bring the project to fruition. First they signed up two local architects and consulted with the Venice branch of a disability organization. Next, two local companies designed a jetty made entirely out of recycled materials and a platform elevator that loads a wheelchair, cantilevers it out over the water and lowers it into the gondola. The idea was viable, they realized; now they just needed the money to make it happen. The project came in at €120,000 ($130,000); the Veneto regional authorities offered €50,000, and the owner of a hotel near Padua, 30 minutes away, pledged €20,000. Dalla Pietà and Greifenberg hoped crowd-funding would make up the rest, but it only raised €4000. Instead of giving up, they took out a bank loan and pressed ahead. Gondolas4all gave its first ride last April. Tony Heaton agrees. 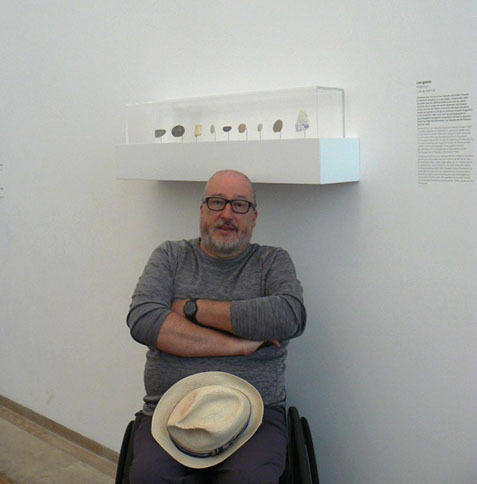 “They take you off the Grand Canal and round all the little canals and backstreets that you can’t get to in a wheelchair—places I’d never been.” Opening up the nooks and crannies is important, but doing it with dignity is crucial. “Our riders know they can do it safely, they won’t be manhandled, they don’t need a carer or a special gondola to do this—they can do it autonomously,” says Dalla Pietà, who put all 19 of his colleagues at the Piazzale Roma gondola station through training: Not just in elevator operation, but in dealing with physical and mental disabilities. “We’re well prepared,” he says. “There are 21 gondoliers in Venice all ready to welcome people with disabilities.” In the meantime, they’re still crowd-funding to pay off those loans—anyone wanting to donate or book a ride can do so through their website.